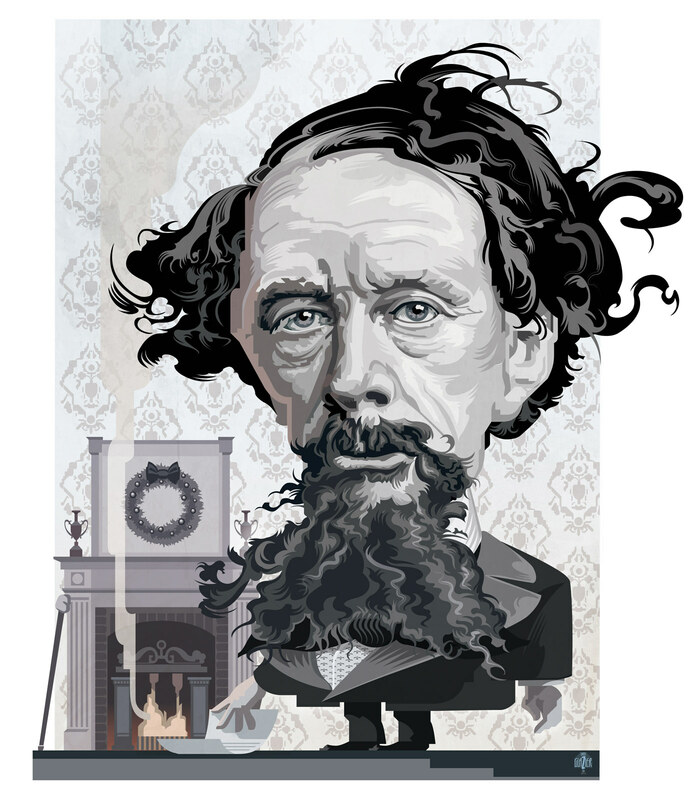 A series of illustrated portrait caricatures of great authors. 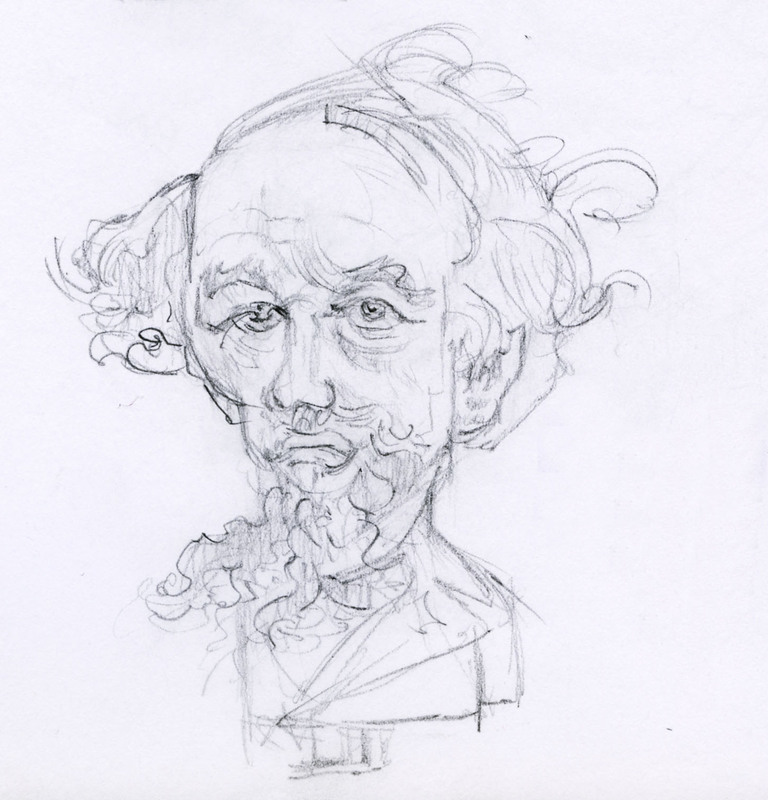 I have startedI have started a series of caricatures of great authors with an eye to exaggeration of the head. I have admired the work of illustrator Gerry Gersten, Daniel Adel, and Phillip Burke in the past and wanted to create my own style of caricature. The challenge was to be a bit outrageous without taking the distortion too far. I wanted immediate recognizability with a humorous twist. These illustrations were created in vector with a few touches added in Photoshop. 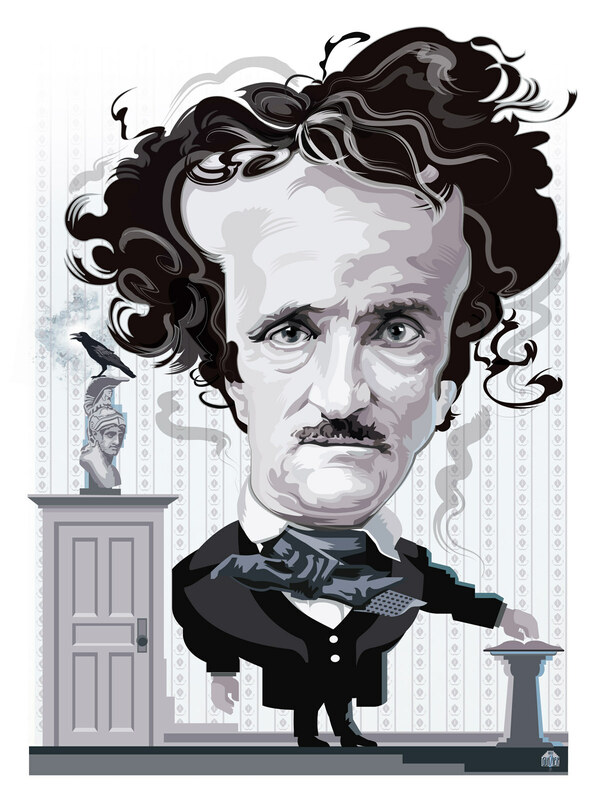 Edgar Allan Poe, "The Raven"
Charles Dickens "A Christmas Carol." 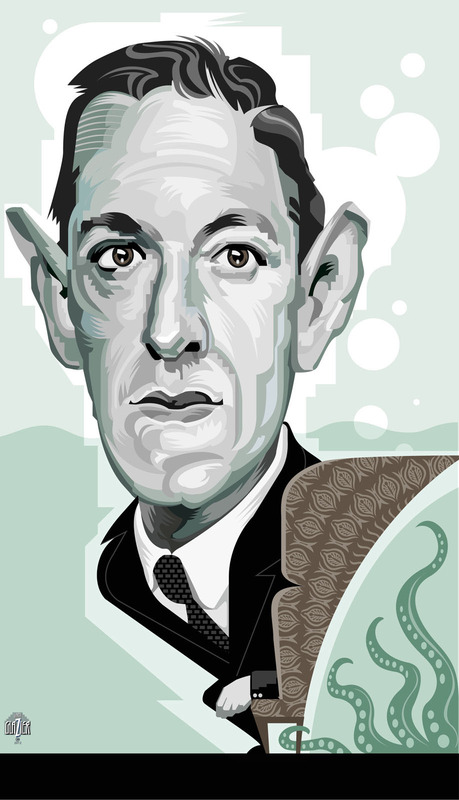 Just finished a portrait of H. P. Lovecraft. 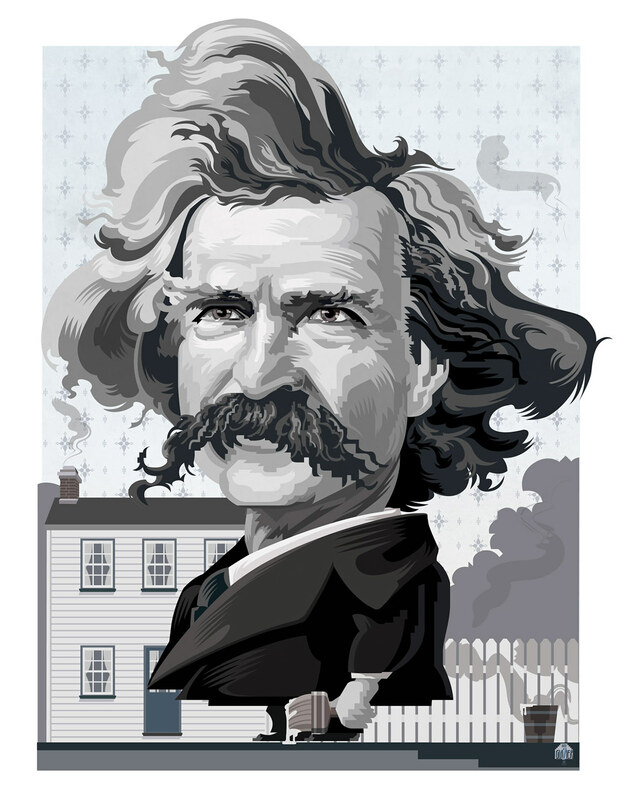 He has such an unusual face and has become a highly regarded writer and important influence in recent years much like a modern day Edgar Allan Poe. 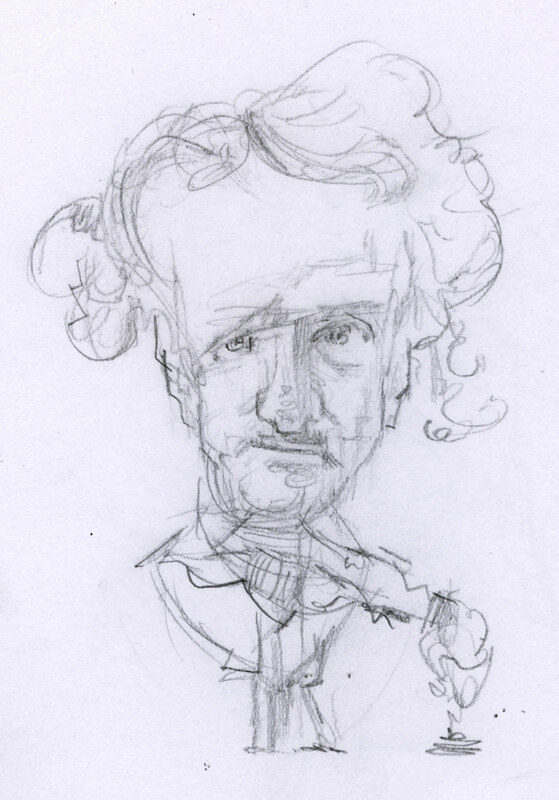 The thumbnail sketch for Poe. Sometimes the illustrations comes together with just a small thumbnail drawing. and the huge un-tamed locks of hair on Poe.